Have you ever annoyed with spam comment on your blog?, you need to use spam blocker for your blog. So you can block the spam, and the spam will not be shown on your comments list. Exactly when you install wordpress for first time, there are included with spam blocker askimet, but this plug in is non free plug in. 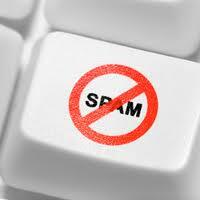 You may use this freeÂ anti spam to block spam comment on your blog, it’s called by Spam Free WordPress. Spam Free WordPress is a comment spam blocking plugin that blocks 100% of the automated spam with zero false positives. There is no other plugin, or service, available for WordPress that can claim 100% accuracy with zero false positives, not even Akismet. Manual spam is blocked with an IP address blocklist. Since published on September 2007 HoolywoodGrind as developer was getting busy and lot a traffic because many many wordpress user downloaded this plugin. And WordPess spam free has been successfully tested under the real world with much traffic and much commet spam. When you already installed Spam Free plugin on your wordpress, you don’t need to look for another spam free plugin because this plugin is very powerfull spam free plugin.